ALL YOU NEED TO CRAFT A TIMELESS IMAGE Meet the camera that has perfected extraordinary image clarity, with its stunning 45.7 effective megapixels, giving you superior enhanced resolution that is impeccably suited to professional large-format poster or canvas print. An ISO range of 64 to 25600 also allows increased sensitivity and versatility with a wide range of environments. POWER AND SPEED AT YOUR FINGERTIPS Never miss a once-in-a-lifetime photo with the improved speed and power of this camera. Employ the approximately 7 fps or 9 fps1 high-speed continuous shooting to your advantage and capture the action at the exact moment you need. Enhance your abilities with the superior 153-point autofocus (AF) system and an exclusive AF engine that utilises parallel processing with a sequence control microcomputer so you get high performance autofocusing even for demanding high-speed shoots. 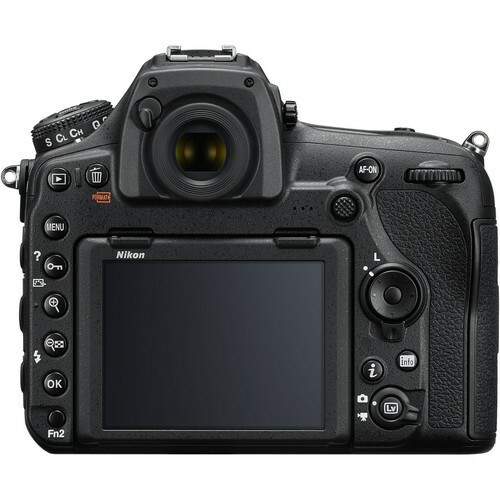 The camera even has an optical viewfinder with approximately 0.75x magnification, the largest in Nikon DSLR camera history, so you can compose the perfect shot with its wide field of view. 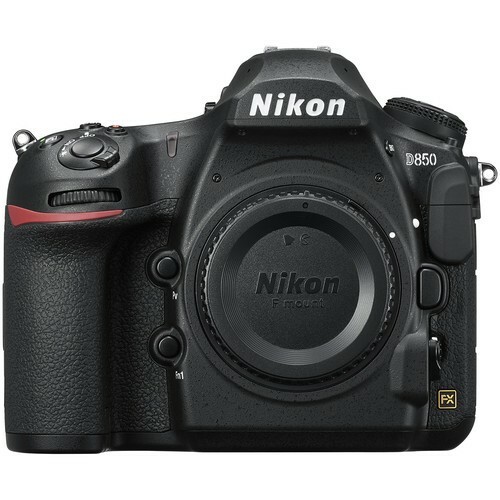 MAINTAIN YOUR STABILITY EVEN UNDER PRESSURE From museums to theatres, you will be artfully assisted by the camera's 45-megapixel silent photography that is completely noiseless during shutter release. Even during sound sensitive situations involving animals or athletes, the approximately 6 fps continuous silent shooting boosts your ability to capture that key shot. 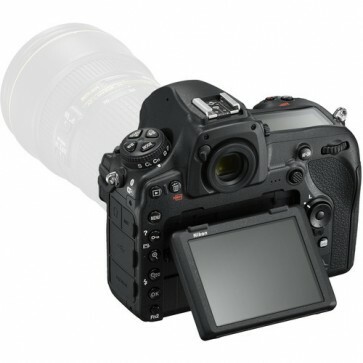 Additionally, innovative new shutter and mirror drive mechanisms act in tandem to reduce vibration during shutter release, avoiding mechanical vibrations that could impact the sharpness of your image.